Latest look at the upcoming Igavania game. Publisher 505 Games and developer ArtPlay have released a new set of gameplay videos and screenshots of the private Bloodstained: Ritual of the Night demo showcased at PAX East 2019 in late March and EGX Rezzed 2019 in early April. 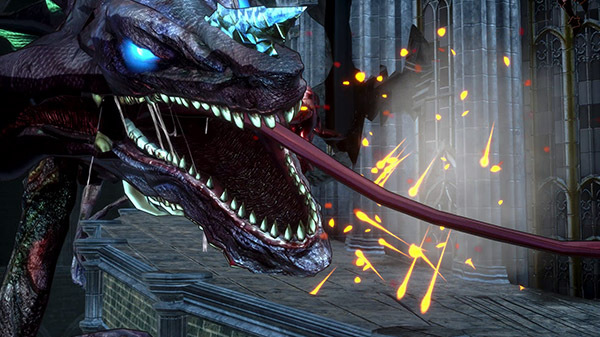 The footage showcases the new area “The Tower of the Twin Dragons,” which features new enemies, weapons, costume accessories, updated graphics and lighting, a boss fight, and a new full orchestra set composed by the renowned Michiru Yamane. Bloodstained: Ritual of the Night is due out for PlayStation 4, Xbox One, Switch, and PC this summer.